Professional Corporate Identity and website for just $998!.. Get a website for $5000 or more, and we will throw in a FREE hosting for a full year for you!.. Do you have project deadline? Also you can calculate your future website price more thoroughly by using our website price calculation system. Working with WDS Design Group has been magnificent. Our website and the CMS they developed for it have surpassed our expectations. We are highly confident in their expertise, support and look forward to our continuing efforts with them. Just writing to tell you how great your service was designing our website! Your flexibility to meet our evolving requirements and still deliver a quality product on time was well beyond anything we reasonably could have expected. On top of that, the value for money was absolutely beyond compare! Any concerns we had about using an overseas based service provider were thoroughly misplaced - I would happily and without reservation recommend you to anyone looking for a quick and efficient website developer. Working with WDS Design Group was amazing. They have provided us with a great, professional website that we are able to edit through the Content Management System they have developed. It really is a fast and easy way of editing our website, adding/editing content to it and sending our newsletters on a monthly basis. I'd advise any companies who need corporate websites to use these guys. No part of this web-site can be copied without prior agreement with WDS Design Group. 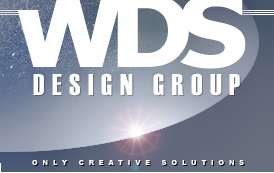 WDS Design Group © 1998-2005. All rights reserved.